We are specialized in manufacturing Tungsten Carbide Blanking Die used for manufacturing cups in defense and automobile industries. 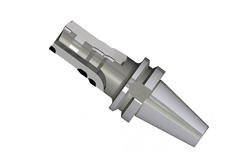 HSS Jobbers Length Drill Blanks Used as tool blanks, gauges, punches, dowel pins, ground pins, guide pins, etc. In order to meet the customized and quality requirements of the customers, we manufacture, supply, trade and import a wide spectrum of Solid Carbide Blanks. Clients an avail from our wide range depending on their specific requirements. Finest grade material is used in making the products that ensure their error free functioning. We deal in a wide range of Carbide Rods and Blanks which is available at economical rates. Our range finds application in several industrial areas, and is used for making form tools. Further, these are available in various sizes & shapes, and can be customized as per the specifications stated by our clients. The Carbide Blanks provided by us are acclaimed for being easy to install because of their flat shape and thin width. Light in weight, these Carbide Blanks are best in working. 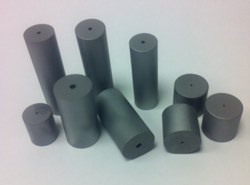 Professionals use durable metal for the manufacturing of these blanks. Superior in working, these blanks are perfect size and easier to use. Safe from extreme high pressure, these carbide blanks are best in working and weather proof in nature. CERATIZIT has produced blanks for solid tungsten carbide hobs for many years. Every hob is an individually manufactured high-tech product based on our customers' drawings. Furthermore we offer tailor-made CERATIZIT tungsten carbide grades – a guarantee for reliability and maximum output.